Since our arrival in Buenos Aires last year, I’ve been a fan of The Argentina Independent due in large part to the fact that Adrian Bono’s Weekly News Roundup slays me. And because it’s in English, for quite a while it was my sole source of local news as it took me hours to decipher articles in castellano. In any case, those reasons aside I’m super grateful I found The Indy, because thanks to them I’m officially a vendor at the first ever Buenos Aires Underground Market! The Indy is organizing the event as both a fundraiser and a way for aspiring chefs, restauranteurs and artisanal culinary types to gain exposure to a large audience. The event is Saturday, June 9 at IMPA La Fábrica in Almagro. You can RSVP and get all the details on Facebook. As soon as I heard about the Underground Market, I knew I was going to apply to be a vendor and exactly what I would be creating: Tres Leches. Thanks to Lili Kocsis from My Amused Bouche for capturing this picture at the pre-tasting event. 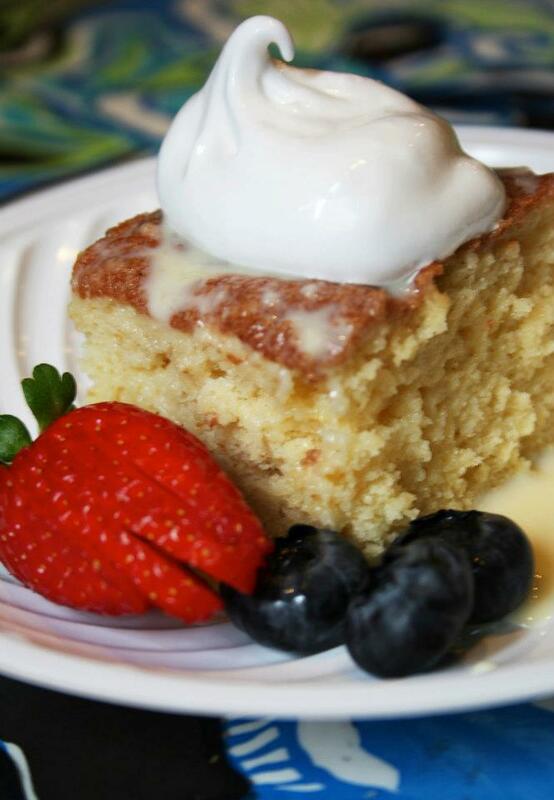 For those who may not be familiar with it, Tres Leches is a cake of Latin American origins, though it doesn’t seem to have made its way very deep into South America. There are different variations, but it’s typically a sponge cake soaked in three types of milk; hence the name that even gringos can translate. As much as I want to urge you to rush out and try it immediately, full disclosure: I’d never really cared for it much until this recipe came along. I’d tried a few different tres leches cakes, usually at Central American restaurants at the insistence of my father-in-law, who loves it. But I was unimpressed. It’s often too soggy, and the versions I tried were either cloyingly sweet or surprisingly bland. But a few years ago, Gaspar and I were spending Thanksgiving with his family and their friends in New Jersey. One of the guests baked a tres leches cake especially for my father-in-law, and I half-heartedly accepted a slice. It was super moist yet somehow light, just sweet enough, had the perfect hint of vanilla and the topping practically floated on top. This was like no Tres Leches I’d ever pushed around my plate before. I had approximately three pieces (and perhaps a bit of wine) before not so tactfully demanding the recipe. I’ve closely guarded it ever since, though I’ve also made some modifications to suit my preferences and the availability of different ingredients. But let the record show: Nubia Martinez, I bow down to your original Nicaraguan Tres Leches cake. 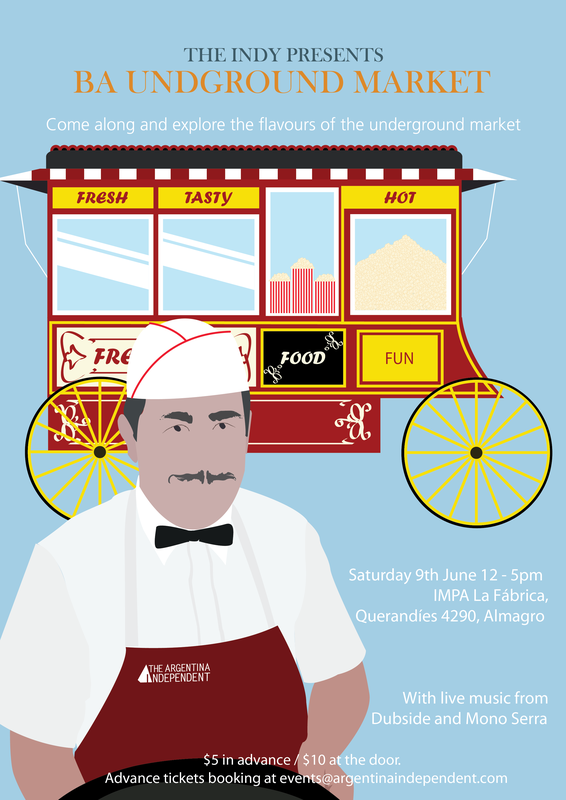 If you care to try it, get yourself to the Buenos Aires Underground Market on June 9 where you can also sample amazing breads, pickles, marmalades, cheeses and more. If that’s a transcontinental flight away, I may consider sharing the recipe in exchange for a pile of small, unmarked bills…or some advice on how to prepare hundreds of servings of tres leches cake in a small kitchen. Looking forward to giving your beautiful cake a try as I missed out on the tasting event. What?! I just pinned this amazing looking cake, and then I get this TEASER instead of a recipe?! LOL Did you ever share it?